The 4-side sealing bag VFFS (Vertical Form Fill Seal) machine is suitable for packing granule, power, solid state materials, such as coffee, potato chips, puffed food, shrimp crackers, peanuts, nuts, popcorns, salt, sugar, tea, seeds, etc. 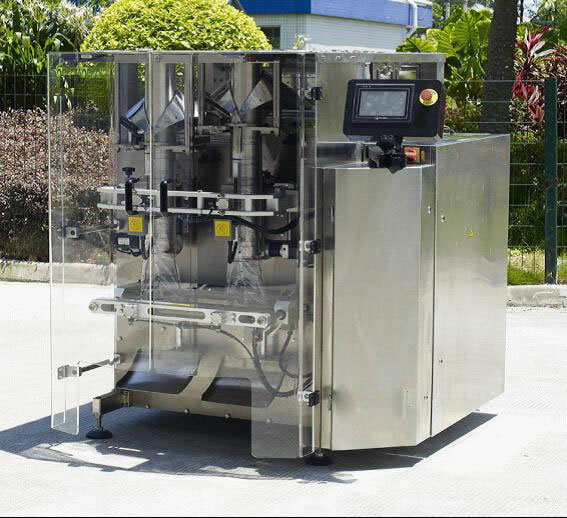 Qualipak Machienry 4-side sealing bag vertical form fill seal machine provides attractive bags for customers. 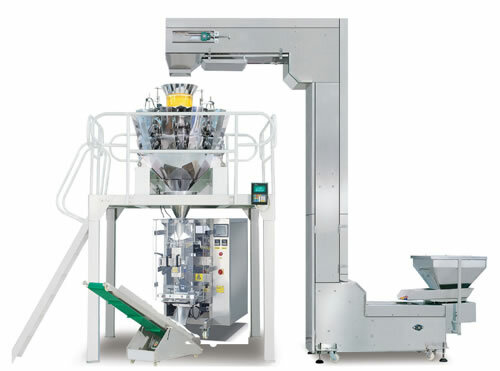 The 4-side sealing bag VFFS (Vertical Form Fill Seal) machine is suitable for packing granule, power, solid state materials, such as coffee, potato chips, puffed food, shrimp crackers, peanuts, nuts, popcorns, salt, sugar, tea, seeds, etc. 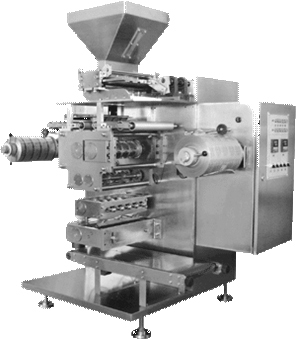 A. Qualipak Machienry 4-side sealing bag vertical form fill seal machine provides attractive bags for customers. B. The 4-side sealing bag VFFS machine accomplishes bagging, sealing, date printing, punching, and counting automatically. 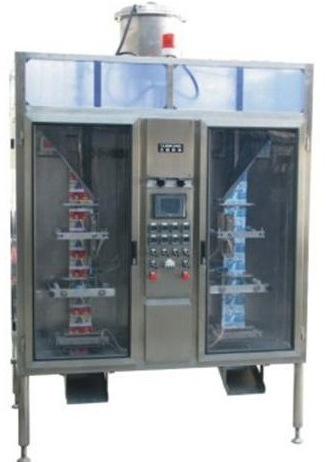 D. The 4-side sealing bag VFFS machine makes use of famous brand PLC and pneumatic system for vertical and horizontal sealing. 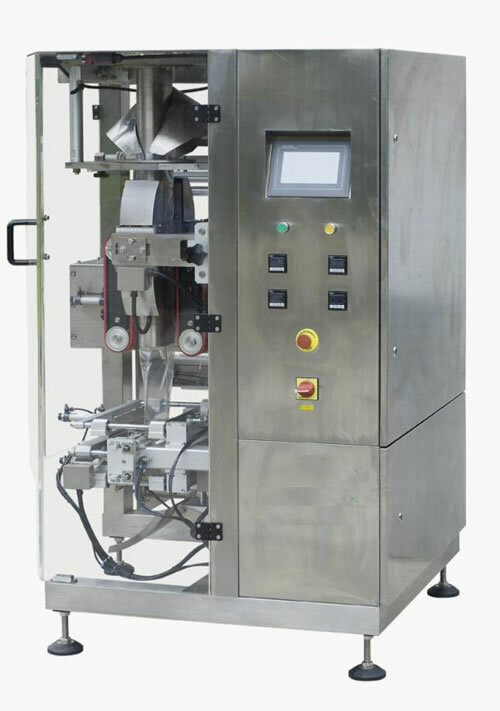 E. With low maintenance cost, the 4-side sealing bag vertical packaging machine is easy to operate, and compatible with different internal or external measuring devices. Qualipak Machienry is a professional Chinese 4-side sealing bag VFFS machine manufacturer, providing pre-made pouch packing machinery, vertical packaging machine, pillow type packaging machine, and related products for worldwide customers. As these products are made by implementing rigorous quality control, reliable Qualipak Machienry packaging machinery is CE certified. Also, complete warehousing management system helps effectively reduce enterprise cost, and thus, prices of Qualipak Machienry products. Hence, Rezpack is able to provide high quality competitively priced products for customers all over the world, and you can feel secure in your purchase.